These terms and conditions (the “Terms”) govern your access to and use of AYESHA MUSIC’s websites (“Site”). By accessing or using the Site, you are agreeing to these Terms and entering into a legally binding contract with Ayesha Music. It is critical that you read carefully and understand the Terms. Do not access or use the Site if you are unwilling or unable to be bound by the Terms. Any references to “you” and “your” refer to you, as a user of the Site. References to “we”, “us” and “our” refer to Ayesha Music. We may alter or modify the Terms from time to time. When changes are made, we will notify you by indicating at the top of each page the date that revisions were last made. All material modifications will apply prospectively only. You should revisit these Terms on a regular basis as revised versions will be binding on you. Any such modification will be effective upon our posting of new Terms. You understand and agree that your continued access to or use of the Site after any posted modification to the Terms indicates your agreement to the modification. A. Permission to Use the Site: We grant you permission to use the Site subject to the restrictions in these Terms. We may terminate your permission to use it for any conduct that we consider to be inappropriate, or for your violations of these Terms. Your use of the Site is at your own risk, including the risk that you might be exposed to content that is offensive, indecent, inaccurate, objectionable, or otherwise inappropriate. You may however reach out to us through email for your concerns that appear offensive, etc. B. Site Availability: The Site may be modified, updated, interrupted, suspended or discontinued at any time, for any or no reason, and without notice. C. User Accounts: You may need to register to use part of the site. We may reject or require that you change any user name, password or other information that you provide to us in registering. Your user name and password are for your personal use only and should be kept confidential; you are solely responsible for any use of your user name and password, and you are encouraged to quickly notify us of any confidentiality breach or unauthorized use of your user name and password, or your Site account. We reserve the right to close your account at any time, at our sole discretion, for any reason whatsoever. We reserve the right to reveal your identity (including whatever information we know about you) in the event of a complaint or legal action arising from any message posted by you or when necessary to protect safety and security. Otherwise, your information will always be kept confidential. A. Responsibility for Your Content: You alone are responsible for the content of your messages, and you agree to indemnify and hold harmless Ayesha Music with respect to any claim based upon the transmission of your message(s) and/or posting(s). We reserve the right to remove any messages for any or no reason whatsoever. B. Ayesha Music’s Right to Use Your Content: By posting messages, uploading files, inputting data, or engaging in any other form of communication through this Site, you are granting us a royalty-free, perpetual, non-exclusive, unrestricted, fully transferable, worldwide license to: (1) use, copy, sublicense, adapt, transmit, publicly perform, or display any such communication; and (2) sublicense to third parties the unrestricted right to exercise any of the foregoing rights granted with respect to the communication. C. Copyright & Ownership: All material on the site, including, but not limited to, text, data, graphics, logos, button icons, images, audio clips, video clips, links, digital downloads, data compilations, and software is owned, controlled by, or licensed to Ayesha Music and is protected by copyright, trademark, and other intellectual property rights. Material on the Site is made available solely for your personal, non-commercial use and may not be copied, reproduced, republished, modified, uploaded, posted, transmitted, or distributed in any way, including by e-mail or other electronic means, without the express prior written consent of Ayesha Music in each instance. You may download material intentionally made available for downloading from the Site for your personal, non-commercial use only, provided that you keep intact any and all copyright and other proprietary notices that may appear on such materials. D. Royalty-free Content Usage: All musical content/works created by Ayesha Music may incorporate royalty-free loops from sites/softwares such as Apple Garageband Loops & Looperman loops that allow us to commercialize the works. Therefore, any claims copyright infringement claims sent to us (in terms of musical content) shall be rejected for we have evidential proof allowing us to earn profit. E. Right to Use Ayesha Music's Music content: All musical works produced by Aisha Ayesha and made available under Ayesha Music, are 100% copyrighted. Use of my works (copied, reproduced, republished, modified, uploaded, posted, transmitted, or distributed in any way) including by e-mail or other electronic means, without the express prior written consent of Ayesha Music will make you liable for copyright infringement and the damages made. The Site may include links to other websites or applications. Unless otherwise noted, Ayesha Music does not operate, control or endorse any information, products, or services on any Third Party Site. You agree that we are not responsible for the availability or contents of any Third Party Sites and that your use of any Third Party Site is at your own risk. If you wish to purchase products or services described on the Site, you may be asked to supply certain information including credit card or other payment information. By initiating a transaction you warrant and represent that you (A) are eighteen (18) years of age or older and (B) have the legal right to use the payment means you select or (C) have parental consent to purchase items from Ayesha Music and to use the payment means you select if you are below (18) years of age. You agree that all information that you provide will be accurate, complete and current. You will also be responsible for paying any applicable taxes relating to your purchases. Ayesha Music will be entitled to change the pricing and availability of any particular product(s) or service(s) without prior notice at any time. Ayesha Music does not offer refunds in the event of temporary or permanent price drops following purchase at higher prices. All sales of digital content are final. 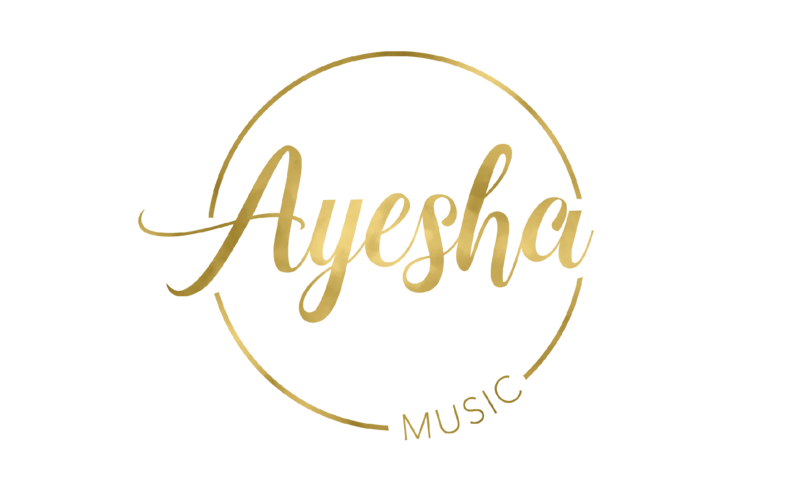 Should you believe that non-musical content made available on Ayesha Music has possibly infringed copyright, a claim must be sent to Ayesha Music's official email and we will process that claim.